P0795...Confederate "nondescript" buckle, rectangle "D" shape, likely Confederate wartime manufacture. P0796...Confederate "nondescript" buckle, rectangle "D" shape, likely Confederate wartime manufacture. 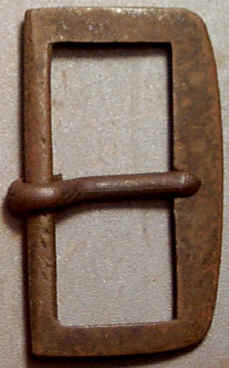 P0797...Confederate "nondescript" buckle, rectangle "D" shape, likely Confederate wartime manufacture. 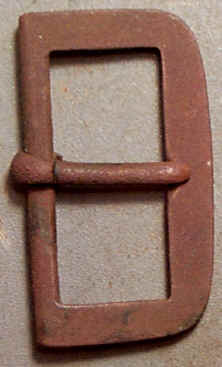 P0798...Confederate "nondescript" buckle, rectangle "D" shape, likely Confederate wartime manufacture. 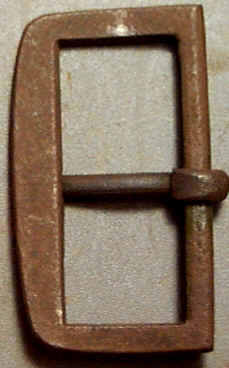 P0799...Confederate "nondescript" buckle, rectangle "D" shape, likely Confederate wartime manufacture. P1930...Confederate "nondescript" buckle, rectangle "D" shape, likely Confederate wartime manufacture. 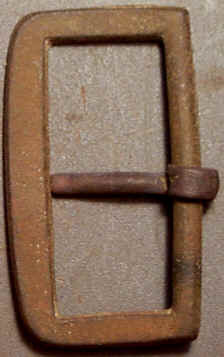 Confederate "nondescript" buckle, rounded "D" shape, likely Confederate wartime manufacture. 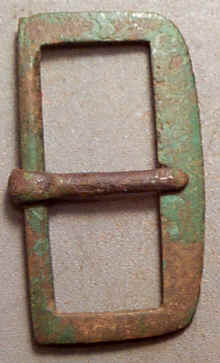 These simple brass buckles were relatively easy to produce, although the resultant relatively narrow belts would not have worn very well. 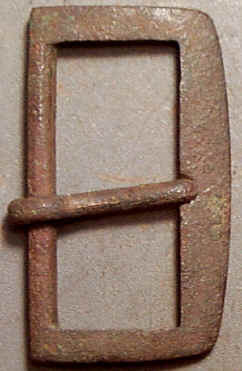 This style is frequently found on Civil War sites, the "D" shape has rounded corners, with a single fastener. Ref: Keim "Confederate General Service Accoutrement Plates", plates 559 through 562. 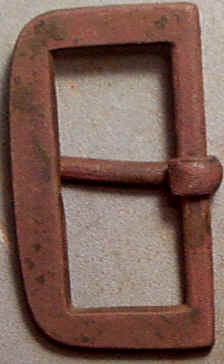 P1599...Confederate "nondescript" buckle, rounded "D" shape, likely Confederate wartime manufacture. These simple brass buckles were relatively easy to produce, although the resultant relatively narrow belts would not have worn very well. 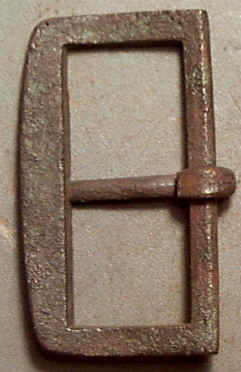 This style is frequently found on Civil War sites, the "D" shape has rounded corners, with a single fastener. Plates measure: 44.5mm X 25mm. Dug plates, fastener intact. Recovered: Frederick County, Virginia by Harry Ridgeway in the 1960's. 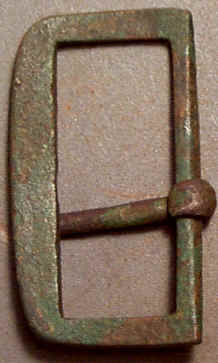 These simple brass buckles may or may not have been used in the Civil War but have been found on battlefields. Ref: Keim "Confederate General Service Accoutrement Plates", not listed. 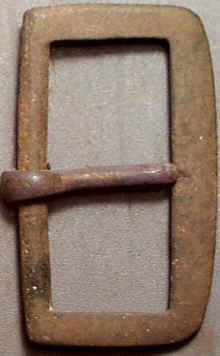 These simple brass buckles may or may not have been used in the Civil War but have been found on battlefields. Recovered: Frederick County, Virginia by Steve Baker.